Will District 4’s loyalty to Cleta Winslow save her from a runoff for her Atlanta City Council seat? 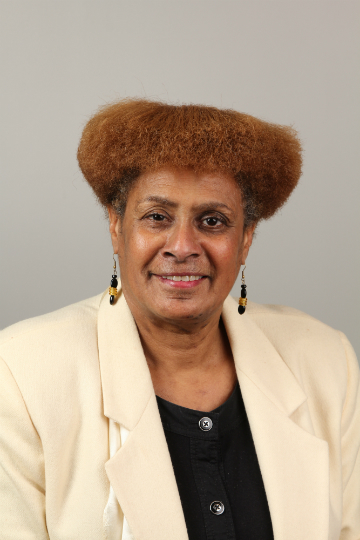 In her 24 years on the Atlanta City Council, Cleta Winslow has served with three mayors, sat on numerous committees, and attended countless public hearings and community meetings. But one thing she’s never done is face a runoff election. The conventional wisdom around City Hall is that Winslow, a plain-spoken, sometimes pugnacious woman with a distinctive flat-top hairstyle, always attracts a batch of political opponents—and then always clobbers them outright by collecting a majority of the votes on Election Day. This year, however, the 4th District incumbent faces a crowd of 10 challengers. About half of those appear to be candidates in name only, having failed either to raise funds or create a campaign website—or in some cases, both—but at least a couple look to have the war chests and visibility within their southwest Atlanta district to give Winslow trouble on November 7. The hopefuls include Jason Dozier, who served Army tours in Iraq and Afghanistan and now works for an organization that helps his fellow veterans gain employment skills and find jobs, and Kimberly Parmer, a commercial real estate agent and former president of the influential West End Neighborhood Development community association. Dozier, who says he’s knocked on thousands of doors over recent months, has raised an impressive $74,000—more campaign money than all the other candidates combined, Winslow included. Winslow also has drawn criticism—and been slapped with a series of fines totaling $6,500 by the city’s ethics office—for spending taxpayer money on each of her last four re-election campaigns. On one occasion, she allegedly paid several homeless people with funds from her council office fund to hand out fliers while wearing campaign T-shirts. On another, a city employee shuttled her to campaign stops while her driver’s license was suspended. The city’s ethics office reportedly decided to treat the infractions as oversights because Winslow’s financial record-keeping was so shoddy that it couldn’t be proven whether she intended to break the law. If this year’s campaign disclosures are any indication, Winslow’s accounting skills haven’t improved. She reported collecting nearly $14,000 in contributions in January from a small number of well-heeled donors like developer Michael Russell and attorney Carl Westmoreland, but in later disclosures listed those funds as “in-kind” donations rather than cash. More importantly, she hadn’t disclosed any campaign expenditures as of the end of September, which is unrealistic for someone actively running for office. In the end, it’s likely that Winslow’s ethics stumbles and arrest record will be of more interest to City Hall observers than to voters. With an overwhelmingly African American district that stretches from North Avenue south to Fort McPherson and includes the West End, much of the Atlanta University area, and a good chunk of the neighborhoods southeast of Cascade Road, the councilwoman clearly enjoys the enduring support of many longtime residents. Her apparent confidence could explain why she hasn’t set up a website for her own campaign. Asheview Heights neighborhood leader Bill Cannon, who was born and raised in District 4, said Winslow will have the loyalty of natives like him for as long as she cares to run, not least because she fought for the area during the 1990s, when it was the scene of some of the city’s worst crime and poverty. In 2008, he noted, she went toe-to-toe with Mayor Shirley Franklin over a proposal to close the West End’s aging Fire Station No. 7 over the protests of nearby residents. One of Kasim Reed’s first moves in office was to renovate the station and return it to duty. “Cleta has been in the trenches with us and has always been accessible,” Cannon said. While Winslow appears to have a lock on old-timers, West End and its surrounding neighborhoods, which abut the Atlanta BeltLine’s newly opened Westside Trail, have seen an influx of new residents in recent years and are becoming more racially diverse. Many of these newcomers, said another neighborhood leader, want to see more commercial development and economic progress—as is now happening with other areas adjacent to the BeltLine—and are frustrated with what they see as a lack of visionary leadership. One of these discontented newcomers is Jason Dozier, who moved to Mechanicsville a few years ago. When the plan to sell Turner Field was announced, he advocated for nearby residents to have a voice in the area’s redevelopment. Instead, he felt like his neighborhood was shut out of the process by City Hall. “I thought Councilwoman Winslow should have been a better advocate for the interests of the community,” he said, adding that he also believes she allowed Mayor Reed to negotiate the sale of a section of Fort McPherson to filmmaker Tyler Perry without neighborhood input. Dozier said a primary focus of his campaign is on maintaining housing affordability in the face of gentrification. Kimberly Parmer’s campaign is focused on encouraging development and curbing displacement; building infrastructure for walkers, bikers, transit users, and motorists; and encouraging mixed-use. One factor in Winslow’s favor, of course, is the sheer number of opponents who could serve to cancel each other out. Others include Adassa—yes, he goes by just the one name—who manages a non-profit business incubation center and owns a hot sauce company; Nick Hess, the longtime leader of the Mad Housers, which builds free huts for Atlanta’s homeless; Christopher Brown, a marketing consultant; Dan Burroughs, a bartender; activist Shawn Walton; Jonathan Whitfield, a Baptist minister; businesswoman Elizabeth Whitmore; and self-described evangelist and perennial candidate DeBorah “Sister” Williams. According to their disclosures, Walton, Whitfield, and Williams have raised no campaign funds. If Winslow does find herself campaigning past November 7, it will be seen as the end of her untouchable status, but that suits some folks just fine.